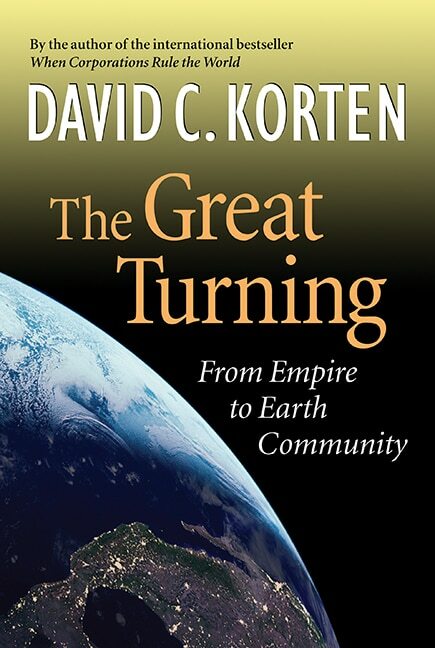 Three current books by David Korten frame our work on the New Economy. 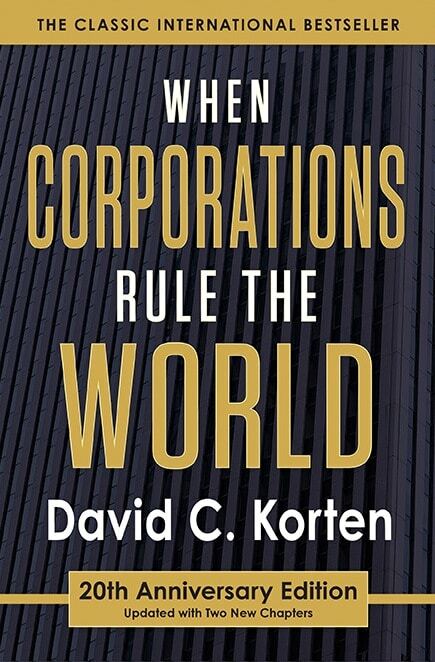 When Corporations Rule the World (1995, 2001, 2015) is the Forum’s classic international best seller. The first edition drew international attention to the use of multilateral trade agreements by global corporations to consolidate their power beyond the reach of democratic accountability. 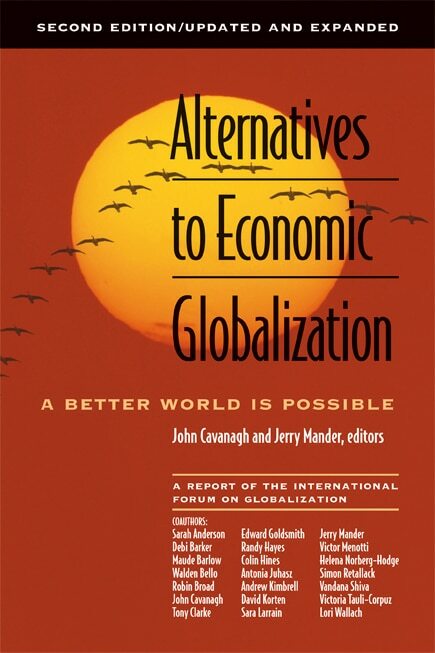 It helped to launch and shape the powerful global resistance movement against corporate-led economic globalization.The 20th Anniversary Edition (June 2015) includes updates in a new Introduction and Conclusion, and insights from David’s personal experience as a participant in the growing movement for a New Economy. Change the Story, Change the Future: A Living Economy for a Living Earth (2015). David wrote this book to demonstrate the depth and significance of the contrast between the story by which we currently live and the nature and implications of the story now emerging. He explores the many dimensions of the challenge of turning from a world organized around a Sacred Money and Markets story to a world organized around a Sacred Life and Living Earth story. This new story, is emerging as people mobilize to rebuild their lives and their communities around values of caring and sharing for one another and nature.The goal is a Living Economy for which life is the defining value, money is solely a means, and the power to make resource allocation decisions resides with people who make their living as co-productive members of place-based communities in which people and nature work together to meet the needs of all. 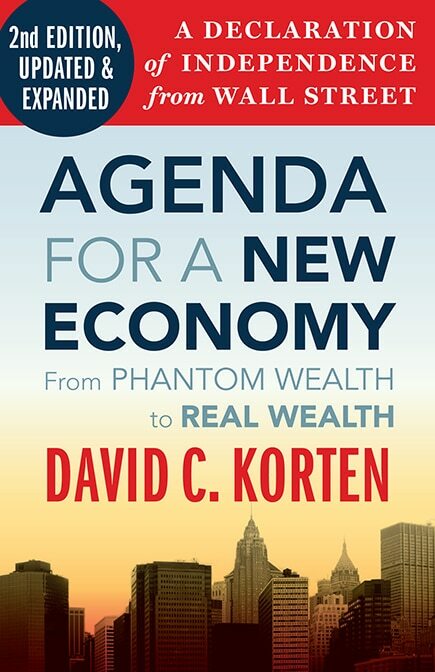 Agenda for a New Economy: From Phantom Wealth to Real Wealth. 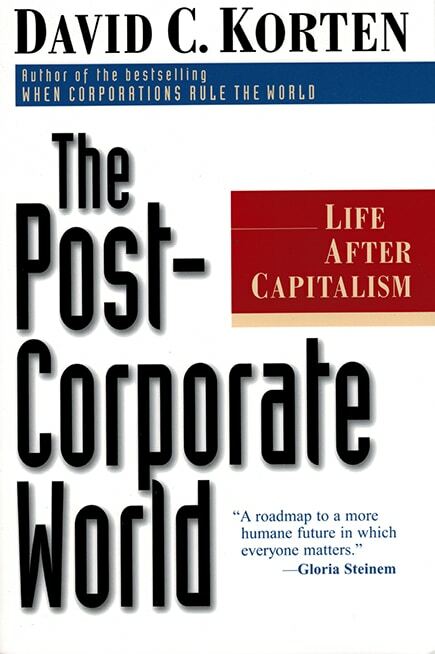 A Declaration of Independence from Wall Street, 2nd edition, (August 2010) is the Forum’s most current and complete treatment of the New Economy we envision. The companion Discussion Guide is a resource for group discussion. It also provides a synopsis of key ideas and each of the individual chapters. The websites of our organizational partners provide a wealth of New Economy resources, including links to many of the thousands of organizations involved in this work. The YES! Magazine website regularly features pieces on the New Economy including many of David’s articles. Visit their online Store, where you’ll find David’s books for sale (with a discount), and sign up for YES! This Week e-newsletter. The New Economy Coalition (NEC) is a network of organizations imagining and building a future where people, communities, and ecosystems thrive. The Coalition is creating deep change in our economy and politics, placing power in the hands of people and uprooting legacies of harm, so that a fundamentally new system can take root. The Forum is a member. The Institute for Policy Studies is a leader on New Economy policy issues under its programs on the Global Economy, and Inequality and the Common Good. The latter program provides staff support for Resilience Circles, Wealth for the Common Good, among others, offers many useful resources. The Business Alliance for Local Living Economies (BALLE) is an alliance of businesses and organizations working together to build local economics that work for people and nature. The American Independent Business Alliance (AMIBA) provides a variety of resources for “buy independent, buy local” campaigns and other efforts to support community enterprise. David Korten serves on AMIBA’s advisory board. See especially its Legislative Platform to Strengthen America’s Independent Businesses. 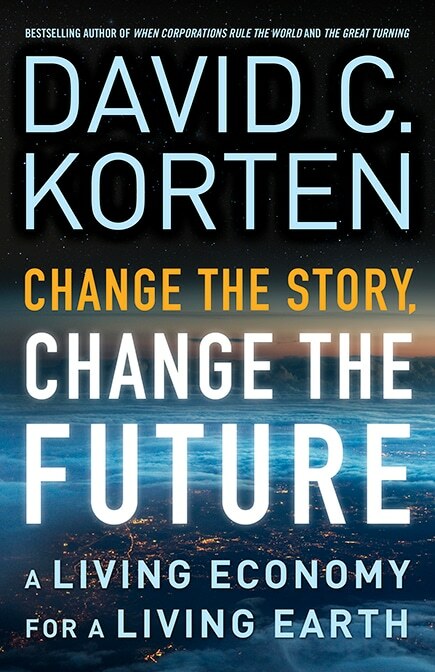 Twitter: David Korten tweets as @dkorten. Kat Gjovik tweets as @katgjovik. #neweconomy is the general tag we use for most of our Tweets. The PCDForum was formed in 1990 as a support network for a group of colleagues who were challenging development orthodoxy. We maintain an archive of our past publications and presentations as part of the movement’s historical record. It is a tool for those interested in tracing the history of the ideas presented in the Forum’s defining books.